Monday Madness – Thai lottery numbers – fixed or fate? 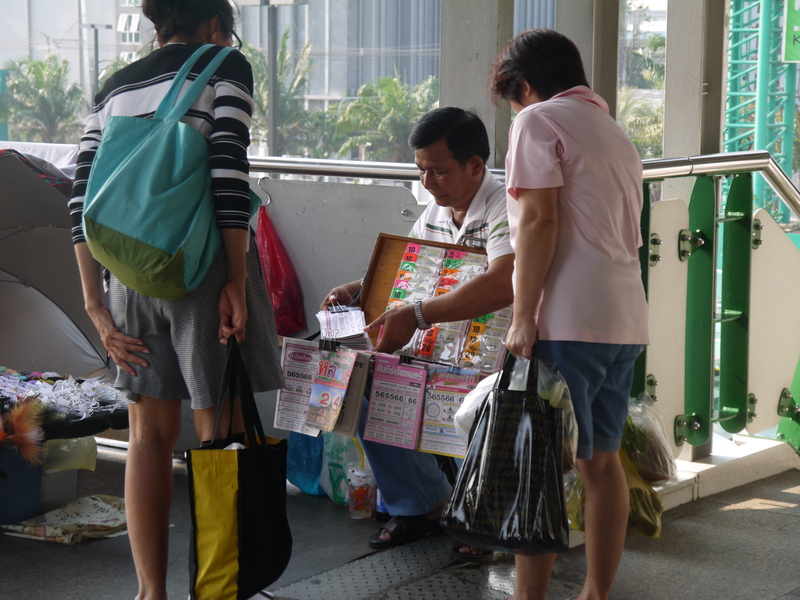 In Thailand the lottery is a big deal and choosing lotto numbers is an art. Nothing it seems is off limits for inspiration for picking the right numbers. While reading the paper over the weekend I came across this article and I was surprised to discover it wasn’t just the Bangkok Post making a joke but an actual complaint by some Thais about the lottery numbers. The essence of the story is that “… Prime Minister Yingluck Shinawatra was accused by losing punters of fixing winning lottery digits…”. Potentially this could be corruption at work and the government is trying to swing votes by manipulating the numbers so that Thais would feel more favourably towards the Prime Minister? I can see why the government might want to increase her favourability rating, especially with the recent New York Times article stating that the government is actually being run by her brother via skype. But the bizarre part of the story is that they think that the lottery numbers are being matched up to license plates of vehicles owned by the prime minister! Heya¡ very first comment on your site. ,I have been reading your blog for a while and thought I would completely pop in and drop a friendly note. . It is great stuff indeed. I also wanted to ask..is there a way to subscribe to your site via email? Welcome to the Big Mango Life! This is our site dedicated to sharing our experience of our travel adventures and delicious food. We left New Zealand in August 2012 and are currently in Bangkok, Thailand (known as the Big Mango). © Kristal Collis and The Big Mango Life, 2012 - 2014. Unauthorized use and/or duplication of this material (Posts and Photos) without express and written permission from this blog’s author and/or owner is strictly prohibited. Excerpts and links may be used, provided that full and clear credit is given to Kristal Collis and The Big Mango Life with appropriate and specific direction to the original content.